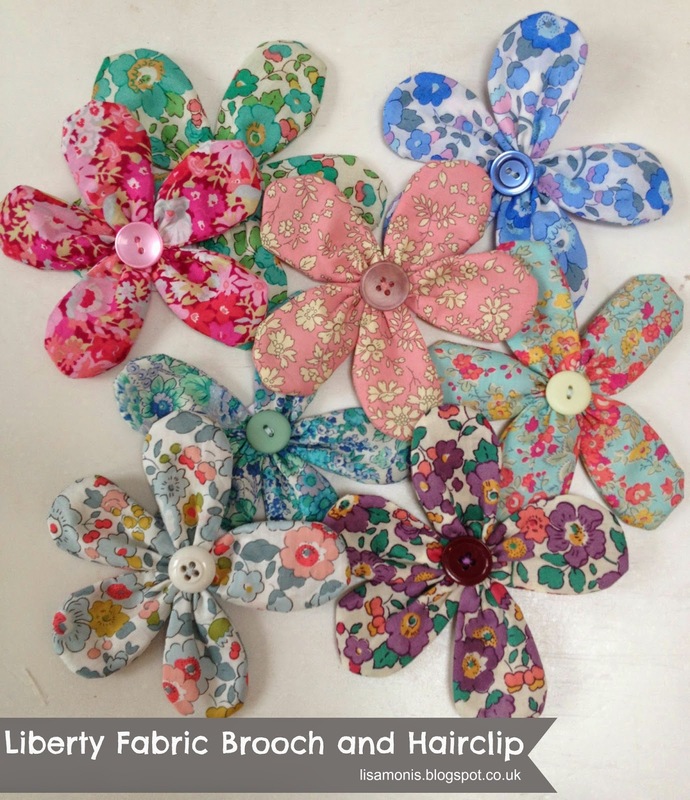 I'm not sure what I enjoyed most about designing and making these Liberty Fabric flower brooches.....choosing the fabrics or hunting through my many Bonne Mamam jam jars which house my button collection, stored by colour...naturally! Miss M loves going through the jars and just checking that no rogue buttons have found their way into the wrong jar and sometimes challenging some of my colour decisions! 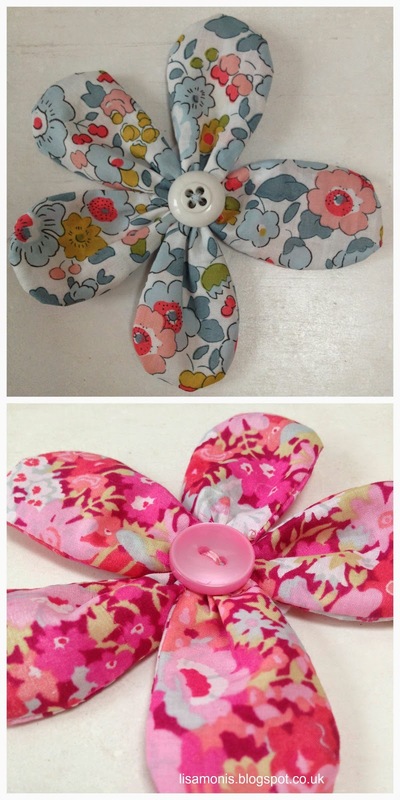 We have had many discussions about when does pink become red or does turquoise fir better with the blue buttons or the green ones! Food for thought? Maybe I just need more jam jars?